A straight drive out between the Dunes is required for this daunting tee shot. Favour the right half of the fairway on your second approach shot. 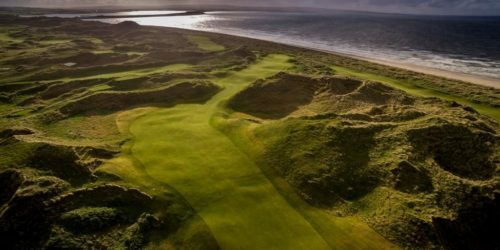 The approach to this green provides one of golf’s most spectacular vistas with breath-taking views over the Atlantic Ocean.